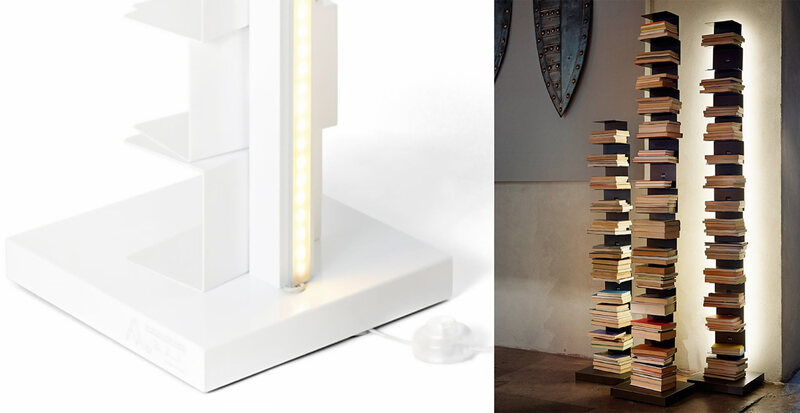 Original Ptolomeo is a container that hides its shape to enhance its content, eliminating the “superfluous” to highlight the essential, namely the books. 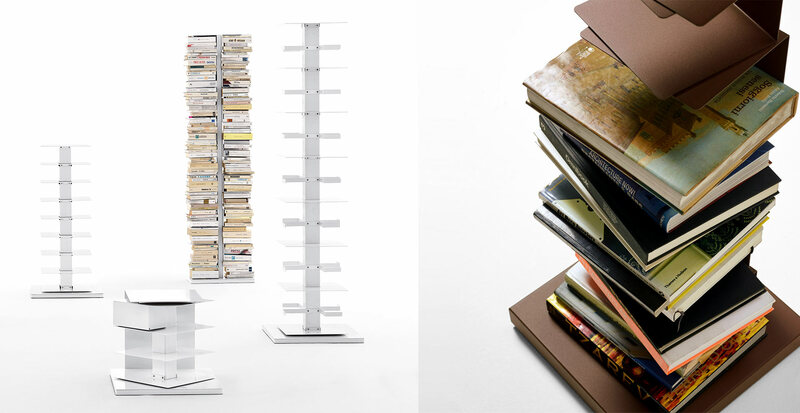 The bookcase is a simple metal column to which thin shelves, also in metal, are attached. 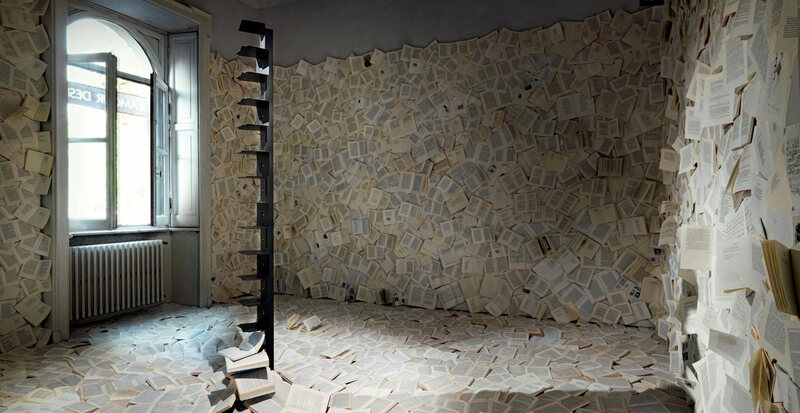 The shelves gradually disappear as the column is filled with books. 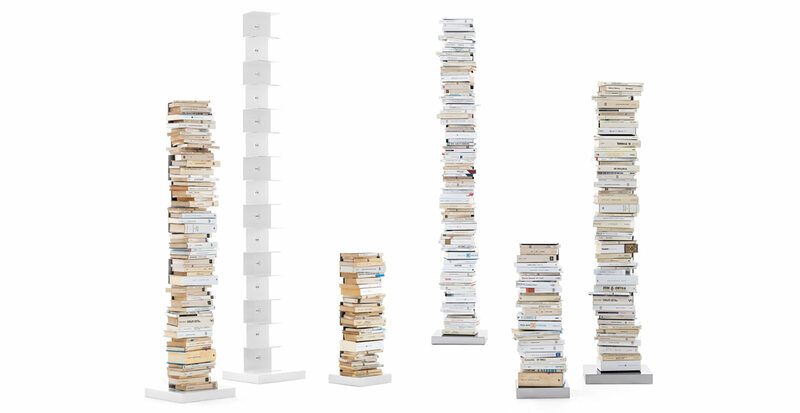 When it is full, Original Ptolomeo becomes totally imperceptible and it appears as if the books are standing up on their own. Available in 3 different heights, Original Ptolomeo rests on a solid base - in stainless steel or lacquered metal co-ordinated with the frame - suitably studied to ensure its full stability. Slight, tall and essential: it takes up little room and can be placed in any context, from the more traditional to the more contemporary , also thanks to the different finishes (black, white, stainless steel or corten effect) that allow it to adapt to all kinds of environment. To celebrate the tenth anniversary of the Compasso d’Oro, Ptolomeo lights up with warm white Led lights, which gives a more precious look and emphasises the presence of volumes, of the furniture that has shaped an indelible revolution in the world of design. Ptolomeo Luce combines the most famous features of Original Ptolomeo with a functional LED light applied to the back. A library and at the same time a lamp, this particular piece of Ptolomeo allows to organise books and also to pleasantly enlighten the room with soft light.